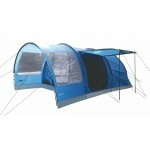 The Robens Triple Dreamer is the largest tent in the Robens Dreamer tunnel range sleeping up to 7 people. The Robens Triple Dreamer is a top quality technical family tent that's ideal for those who want 3-season camping and a robust tent that will stand up to it. 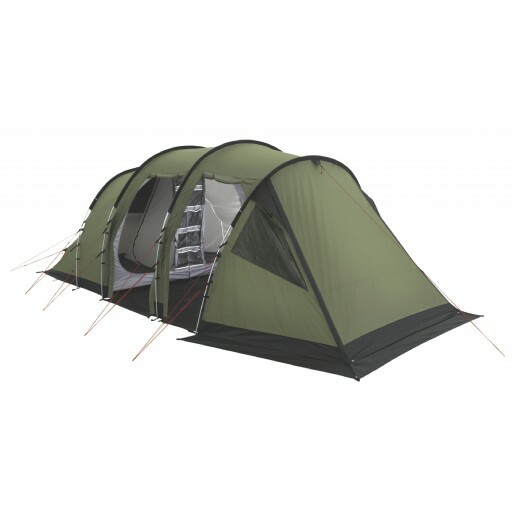 For those who remember their technical tents from days on expeditions and D of E adventures, you will appreciate the top specifications of the Robens Triple Dreamer. 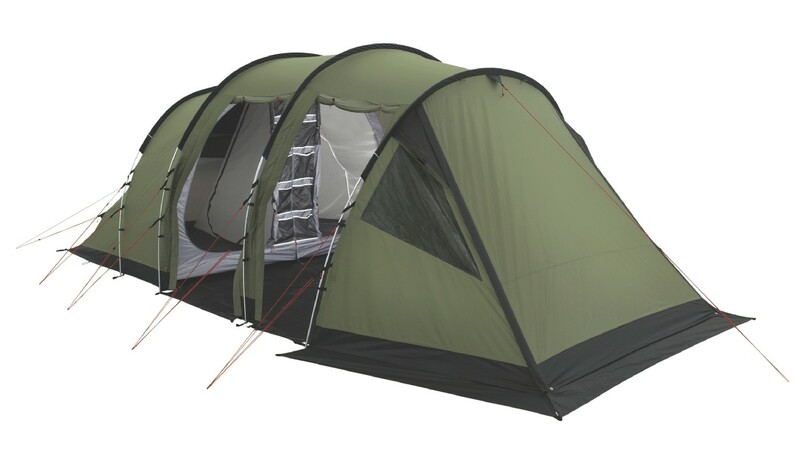 This tent features a top quality HydroTex 5000 75D Polyester flysheet with 5000mm hydrostatic head protection and a lightweight anodised alloy 11/13mm poles. 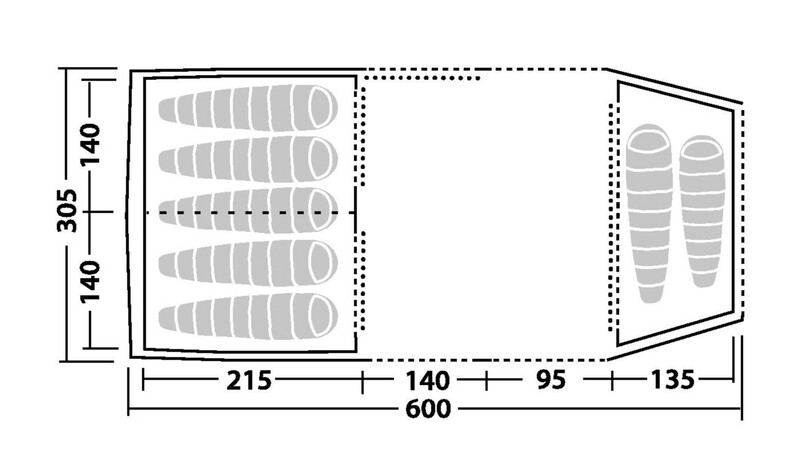 The living area has a detachable bathtub groundsheet that will improve air-circulation and also allow the groundsheet to be removed from the tent and cleaned when the trip is over. 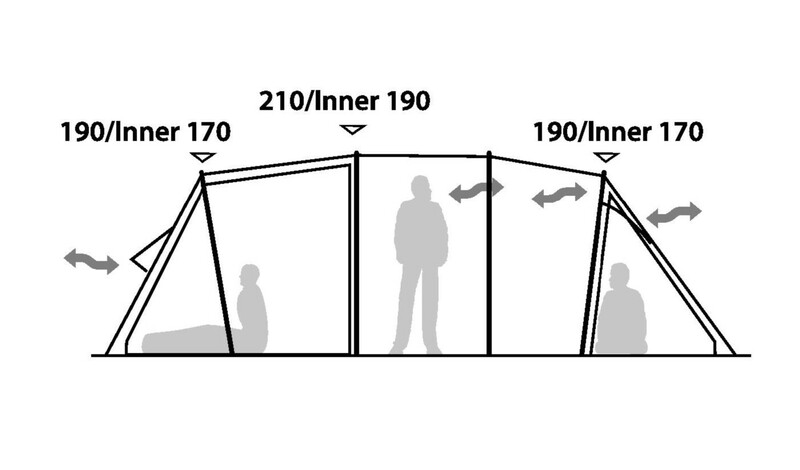 The sleeping area features a 'black-out' universal inner tent one half of which can be removed or folded away which allows for the flexibility of having one or two 2.5-berth inners erected or removing the divider to form a single 5-berth inner. 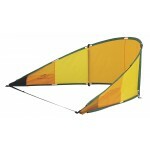 There is also a third inner that is hung at the far end of the living space and can sleep an additional 2 people. There are no less than five doorways - 4 side doors and a front door that can be used when the 2-berth inner is not being utilised. One of the side doors also features a secondary mesh door for added ventilation while keeping bugs at bay. There are also 6 PVC windows all with privacy covers. There are also 4 vents providing ample ventilation. 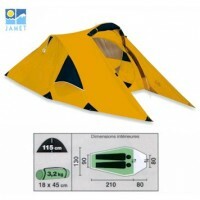 Because of its external pole tunnel design, the tent can be pitched flysheet first or as one quickly, by a single person. 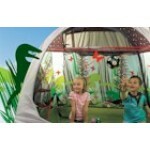 Robens Triple Dreamer Tunnel Tent.